stefannibrasil was awarded the Basic Barnstar by warren for their work in this research note. If I am in any position of giving an advice, I'd say to look out for projects that you feel comfortable and that makes sense to you and to your learning path. It probably isn't a good idea to start contributing to the Linux kernel, if you are learning how to program, for example. It's up to you if you want to create a new branch or work on your local master. I prefer always having a branch for each new feature. 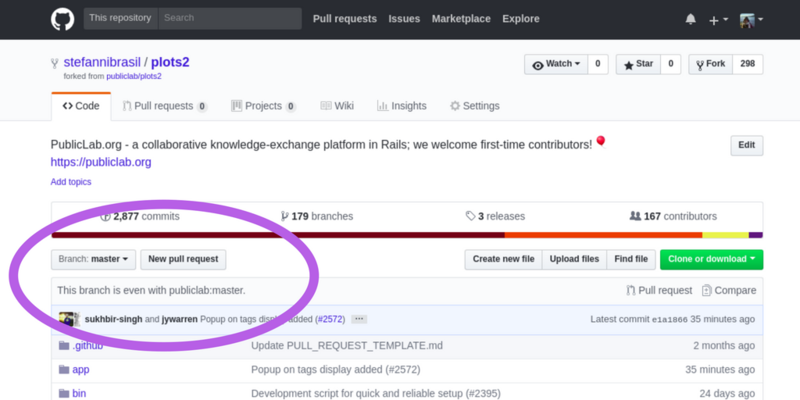 But if that doesn't happen, you can do that by clicking on 'New pull request' and search for your branch there. Note: If you aren't done yet but you want to know if you are on the right path, you can always open a new PR to get some feedback. Just add a '[WIP] - Add new feature' to its name and ask for a review. Now we have our repository updated and that will decrease the number of conflicts in the future. If conflicts happen, it's not the end of the world. Git usually provides helpful messages about the errors to guide you while solving them (and Google, always). 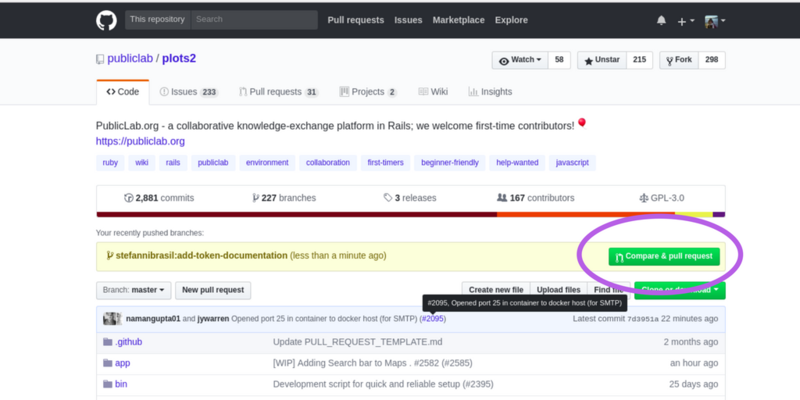 After doing your first Open source contribution you'll likely find out that the code that you change is just half of the work. You need first to communicate with the team, see if you understand the problem and ask for help, for example. But don't worry if you don't feel ready to do any of this. Don't let that hold you back. If the project you choose is beginner-friendly, the team will help you with anything that you need. Besides, you'll learn a lot from this experience, trust me. Another note that I want to share is a video from Eileen. She talked a little about her Open Source experience developing a feature for Rails 5.1. @warren awards a barnstar to stefannibrasil for their awesome contribution! Thanks for all your help, cheers! Thanks for putting this together. 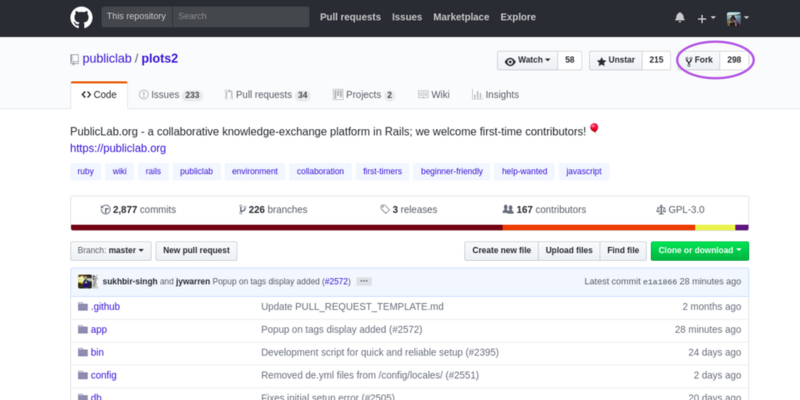 I have hopes of learning to help more on Github for Public Lab but I have a lot to learn. This has some great resources and makes a good cheat-sheet. Thank you, @Zengirl2 for your comment here! I am so happy that you find it helpful. Please, if I can help with anything else, just let me know! About Git, Github launched this cool interactive tutorial, check it out https://lab.github.com/?mc_cid=6b406bb6f1&mc_eid=50288a10e0 Cheers! This is great, thank you! @stella maybe this could be interesting or helpful for folks in Rails Girls in Nairobi?